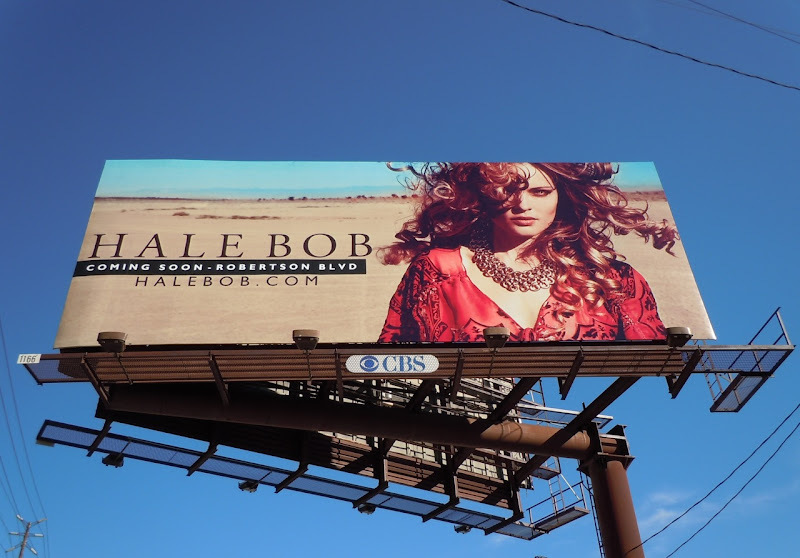 With cold and wet winter fast approaching, it's nice to still see some bright and summery fashion billboards around L.A., like these desert landscape ads from Hale Bob. The windswept model, Olga Malyuk, looks striking with her tousled hair and red print top, whilst she brings the glamour under the desert sun with Sarah Stephens in this other billboard from earlier this year. 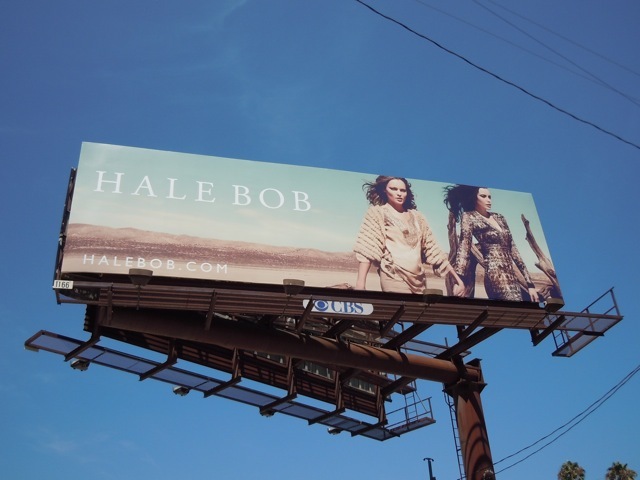 Both Hale Bob billboards were snapped in the same location at the corner of Beverly and La Cienega Boulevards on October 22 and August 16, 2011, respectively. 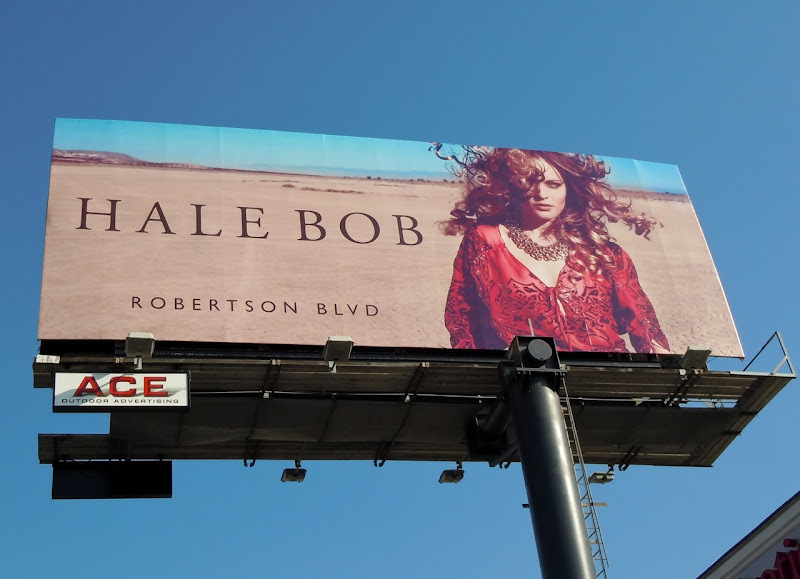 The amended billboard promoting the forthcoming Robertson Store was snapped on October 29, 2011 (although a necessary evil, in Daily Billboard's opinion the ad looks more impactful without the black block of copy). 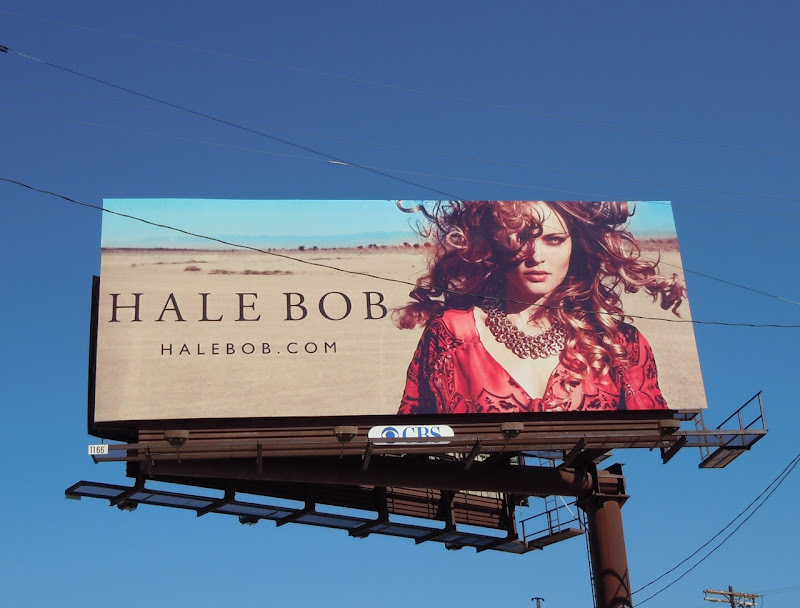 If you're a fan of the brand, be sure to check out these other Hale Bob billboards and come back tomorrow for a fresh week of new movie, TV and video game billboards. UPDATED: Here's a better, unobstructed view of the striking billboard snapped in its new location along Sunset Boulevard on November 30, 2011.